Being the collections manager for a Science and Technology Museum has a whole range of downsides. For example, you never, ever get big industrial storage halls so tight that dust and pests aren’t an issue, people think you are crazy when you insist on various security systems and archival packaging for “old junk” and one of your duties is to explain that, no, you don’t sell spare parts for vintage cars or old radios. But sometimes it has its advantages, for example that you are much closer to all those techy, nerdy things that happen “out there” (Because, yes, there IS a world outside of the museum, I know people who have been there). One day a colleague showed me a little blue thing that was blinking frantically. Basically, when he showed it to me all it could do was blink a little red LED. But as I was digging deeper I discovered that there is a whole community of makers out there who do amazing projects with that little thing. You can really do everything, from reading sensor data to steering an electric motor and everything in between. When I saw that someone had realized a game of Tetris inside of a pumpkin (https://www.youtube.com/watch?v=8PCp5xk-9Qo) I was sold. I needed such a thing. Granted, the moments when a registrar or collections manager is in urgent need of a tetris in a pumpkin are rather rare. But for a whole range of tasks it would be useful and – compared to a computer game in a pumpkin – not too hard to put into action. How about an alarm when it’s much too bright in a gallery and someone should close those curtains? 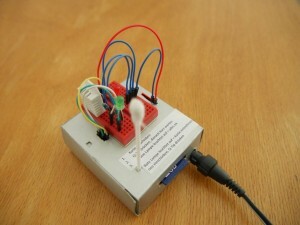 Or a data logger that writes temperature and humidity in your off-site storage to a SD card? If there is LAN or even WiFi available, it’s starting to get really interesting as you can monitor the climate via the internet and even get alerts on twitter or in your mail when someone turns on the light or a climate value exceeds a certain level. The big advantage of the arduino is that you can do those projects yourself and at a reasonable price. It requires that you familiarize with the topic, but, compared to former times, you don’t have to be an expert in electronics to do it. The few necessary components are available via the internet and thanks to a large, world-wide community that is committed to the spirit of Open Source you find a solution or even complete code to nearly every problem which you can adapt to your own situation with a little thinking and a few changes. The first thing that can do things that actually DOES things for the TECHNOSEUM: A data logger that records the climate in a certain area of our museum. For a start I suggest the starter kits who contain not only an arduino but a whole bunch of useful accessories like resistors, sensors and LEDs so you can experiment right there and then. 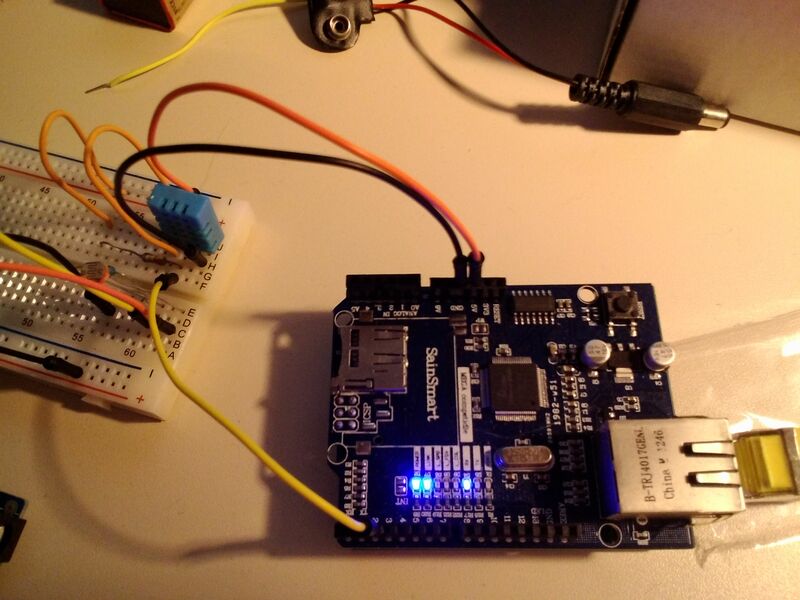 There’s nothing more frustrating than missing one little component when you start learning and who has a fully equipped electronics workshop at home? Usually those kits come with some instructions for simple experiments (if they don’t, you can find plenty of them on youtube) that I highly recommend to conduct. Along with a general understanding of the topic you explore what can be done, may it be a tetris in a pumpkin or a data logger. Any thought of posting instructions for the do-dads that you make? I have an Arduino user in-house (one of my kids) and if I was able to just hand him instructions and a bribe (most likely more parts or coffee!) he’d probably make them for me. I can also see this as a great source of projects for a teen group at a museum or maybe the local library. Is that really a q-tip (cotton swab) sticking up out of the little gadget you made? 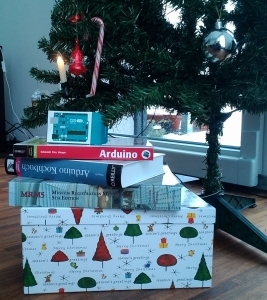 My dad would have been all over the Arduino. If he were still here among us, there would have been blinking lights all over the house, in the car, who knows, fastened to the cats. Sounds like great fun.